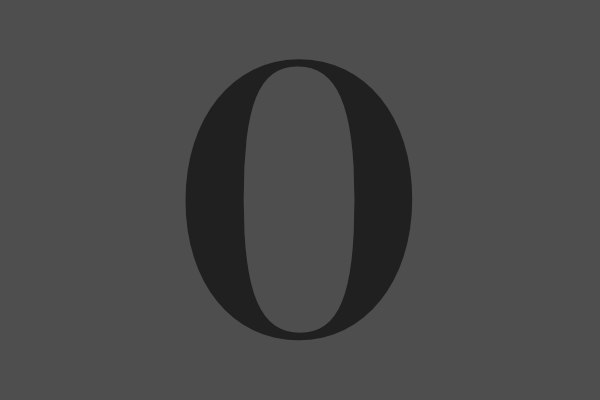 In the last decade, more out transgender and non-binary students have chosen to participate in college athletics across the country. In the last five years, Bowdoin has supported at least three athletes during their transitions and as they navigated joining new teams. 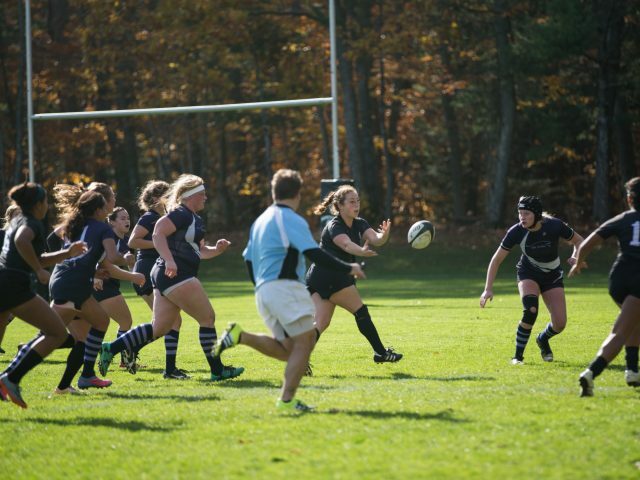 The women’s rugby team is continuing its tradition of excellence despite last year’s move from the NESCAC conference in USA Rugby to the more competitive National Intercollegiate Rugby Association (NIRA) League. “We had been in the USA rugby pathway … and we had been in that pathway for many, many years,” said Head Coach MaryBeth Mathews. The new assistant women’s rugby coach brings experience from both sides of the pond. James Read grew up watching semi-professional rugby at Havant Rugby Club in Hampshire, England, where he began playing at age 11. After playing for seven years at Havant, Read broke into the semi-professional world and competed alongside some of the same players he watched as a boy. Pinned to every wall and corkboard around campus is a recruitment poster for women’s rugby, seeking members of all body types and every athletic ability. 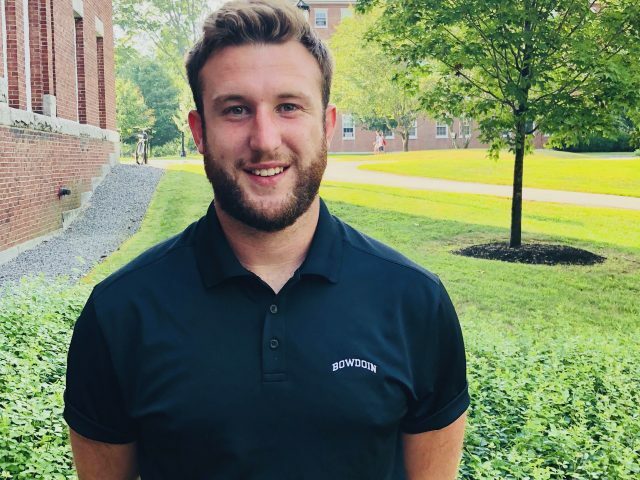 In recent years, Bowdoin’s rugby program has expanded, welcoming first years to the team even before they step on campus. 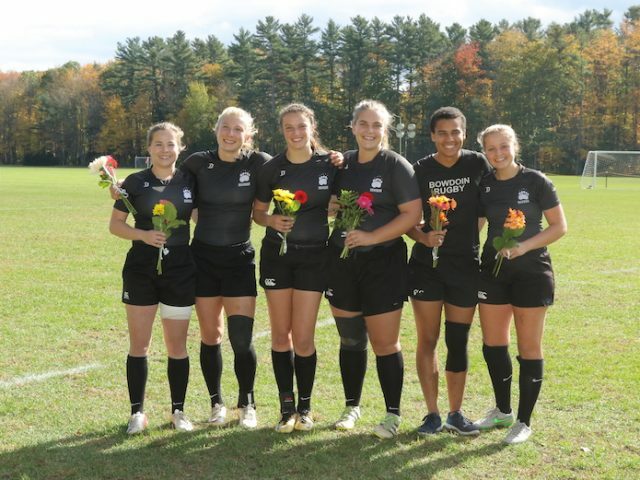 Last Saturday, Bowdoin women’s rugby concluded its regular season with a crushing 50-12 victory against Middlebury. A stellar defensive performance by Jackie Jacques ’19, who accumulated ten tackles throughout the game, highlighted the match. Satya Kent ’19, Kendall Schutzer ’18, and Elizabeth D’Angelo ’19, who each accumulated eight tackles of their own, supplemented Jacques’ defensive effort. Since 2003, the Bowdoin women’s rugby team has led the way as the oldest collegiate varsity women’s rugby program in the nation and as a consistently strong contender in the league, meanwhile never losing touch with its club roots and embracing the inclusive nature of the sport. Straight shutouts. The women’s tennis team is currently 10-2, 4-1 NESCAC after a 9-0 win over Connecticut College (6-5, 0-3 NESCAC) on Sunday. Despite injuries that have weakened the team’s roster, the Polar Bears have won three of their last four games—all dominant 9-0 shutouts—and are currently ranked fourth in the Intercollegiate Tennis Association Division III poll. 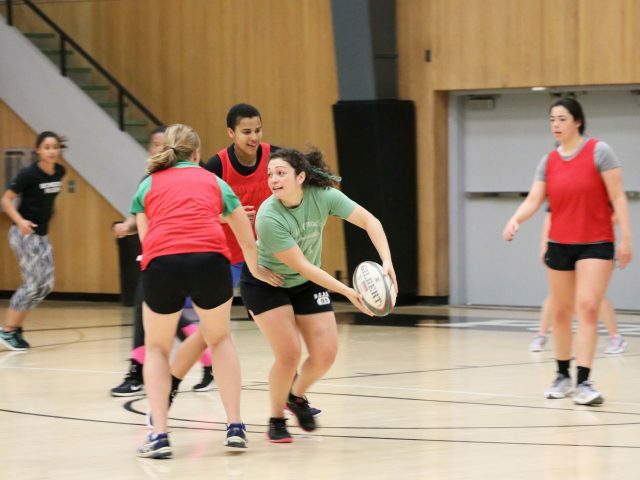 This Spring Break, the women’s rugby team spent 10 days in France and Spain as part of its quadrennial international tour, funded by generous donations and fundraisers put on by the team. Since 1994, the Polar Bears have taken six tours and the experience has become an integral part of the program.